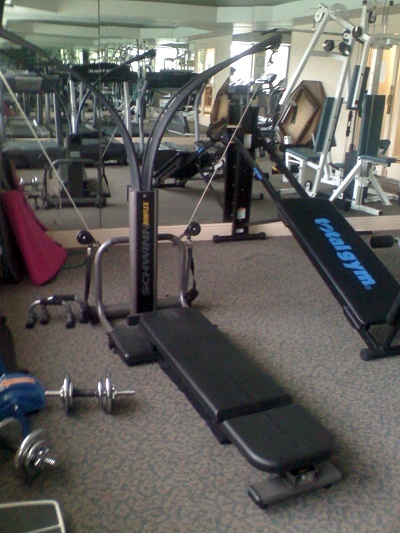 The Fitness Center can be found inside the Club House and offers a variety of exercise machinery to Residents who want to get in shape or stay there. The Fitness Center has access to both men's and women's locker rooms where Residents can change and/or store personal belongings. Residents can also enjoy the snacks offered from the Club House kitchen and the pool before or after workouts.Hours for the Fitness Center coordinate with the Club House. Hours do change during the summer season. Residents can always check with the Club House Manager for official hours of operation. For equipment, please remember to wipe down all machines after use. Also, please limit your time on the treadmill to 15 minutes if someone else is waiting to use it.